Once you have your strategic plan and know where you are taking the business, it’s time to roll up the sleeves and do what you have set out to do. 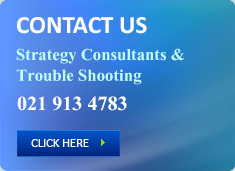 The operational issues are probably those that are the ‘nice’ things to do – the reason why you started the business. 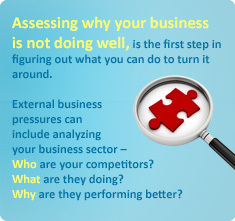 A business review can help improve business performance by pin-pointing problems, as well as opportunities. A review should include all aspects of the business, so that a “helicopter” overview of the business can be had, from finance, human resources, marketing to operations. A business review should also be part of the overall business plan. But, distracted by day-to-day tasks, business leaders can easily lose sight of their goals. With their eyes off the road, the business soon follows. Those businesses that stay ahead are those with their sights set on a destination, a plan to get there and strict adherance to the plan. This implies reviewing the plan from time to time. Filling in the score card and measuring progress. It once again will call for communication with the staff to keep them up to speed with overall progress towards the goals that have been set and analysing individual performance with the function guides. If they are on target it will be appropriate to reward the good behaviour, but if not corrective action must be taken. Remember that verbal engagements need not be confrontational. Before you move forward with documented corrective action in the form of a written warning, be sure that you first attempt to address the infraction verbally, whenever possible; spoken respectfully and quietly, your message will carry more gravity than if shared with emotion or drama of any sort. Offer to help, make yourself available to support the individual to reach established performance goals, but re-establish performance and productivity expectations.